Gray Television began their SPEC Drug-Free Workplace program in 1996. The following is a recap of workers' compensation statistics reported and experienced by Gray Television in addressing the effectiveness of their drug-testing program. 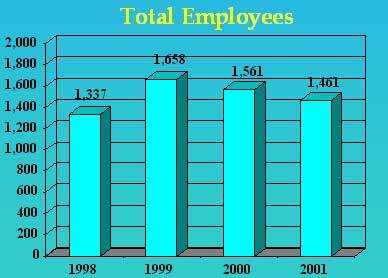 ** The above reduction were experienced while the number of employees increased from 943 to 1725 over the same time period. 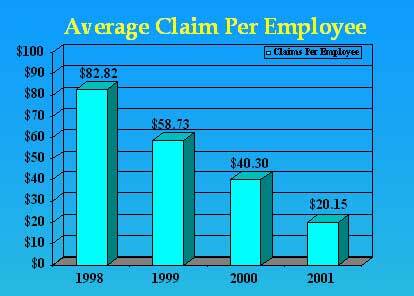 Also, the company has always experienced a relatively low modifier in regards to their workers' compensation premium. Gray Television conducted their second study in 2002 to address the years 1998 through 2001 (4 years).